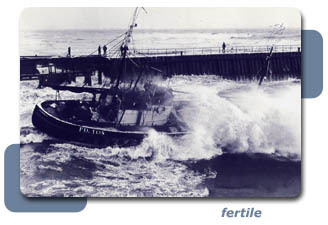 In the 1960's fishing nets were mainly, though not exclusively, designed and serviced by the skipper's and crews of individual vessels. No net manufacturing services existed in Peterhead. John Buchan, an extremely successful local skipper, saw the potential for offering professional net making facilities in Peterhead. He realised that the increasing complexity of net design would make net manufacture and repair too time consuming for the skipper and crews of the large fleet of local vessels. 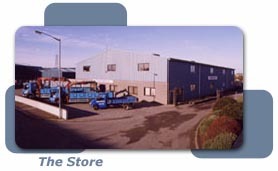 Jackson Trawls was therefore established in Peterhead in 1962. John's son Arthur joined the firm in 1965 and developed the company's design technology, becoming Managing Director in 1975. Due to increased gear complexity a new factory was built in 1980. Arthur's son Mark joined the company in 1988, bringing skills in fishing technology by means of a BSc in Fisheries Science. Stephen another of Arthur's sons joined the company in 1991. Over recent years Jackson Trawls have acquired a number of companies including, CT Trawls, Alf Wallace Nets and the seine net specialists Duthie Trawl Nets. Jackson Trawls has developed in conjunction with the modern fishing industry and currently enjoys a broad spread of trade ranging from our revolutionary "Jackson Knife" prawn designs to the new "Jackson, mark 3 series" pelagic designs.